The University of Illinois created a study into the brain-body connection & discovered that it may be stronger than we realise. – Study author Charles Hillman, Professor of Kinesiology at the University. The research took place within a program called FITKids (Fitness Improves Thinking in Kids). Children aged 7-9 were split into two groups. The experimental group would meet after school each day for a snack, a lesson in nutritional health & then they played games such as football & tag. The idea was to engage children in their own activities rather than an “adult-style’ workout. The control group were put onto a waiting list for the program & so did not take part in the same amount of activity. Children in the experimental group were found to perform better on cognitive tests. They performed them more quickly & accurately than those in the control group. Brain scans were taken while the children performed the tasks. They showed that the brains of those children in the experimental group light up far greater showing much more activity within the brain than those in the control group. Physical activity sharpens the mind. Children should be encouraged to take part in active play to help them learn more in the class room. What I love about this study is that is shows that children should be allowed to be children. 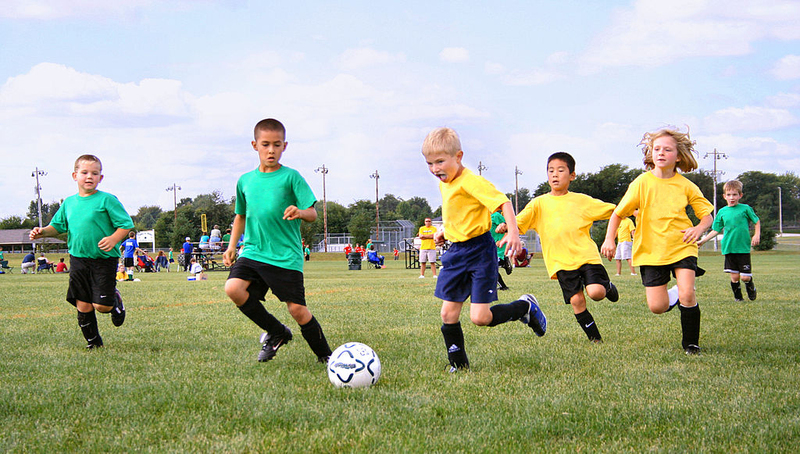 Give them the opportunity to run about, play games & have fun indoors & out through active play. Yes education & study are important but so is the chance to just play. This entry was posted in News and tagged active play, children, education, FITKids, fun, physical activity, study.